One of the best moments during music discovery is the one when you hear an album the first time and instantly are addicted to it. To know that you will hear it over and over again, that after hours of mediocre or boring music you found a new pearl in the ocean of music. 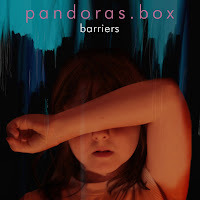 The independent rock band Pandoras.Box from Lower Bavaria with their album Barriers gave me the last incarnation of such a moment. The album could as well be sold on CD, the quality of song-writing and production does not need to hide behind commercial releases. I would be surprised to not see their next release in stores.